It is not always possible to update or receive Twitter updates in web mode . Here come the use of desktop based Twitter apps like TweetDeck those which work on background and automatically refresh Twiiter time line to provide notifications . 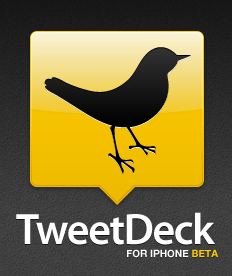 TweetDeck for desktop is based on Adobe AIR and its available for Windows ,Mac and Linux . The advantage the TweetDeck is its user friendliness ,wide variety options and the free tag .The same application with same features is now available for iPhone and can be downloaded from iPhone app store . Desktop version of TweetDeck also seen major updates .TweetDeck desktop now has support for multiple accounts and columns. Send and receive Twitter from iPhone or iPod touch . Just like in desktop version , TweetDeck for iPhone also has a column based arrangement. Shake phone to refresh time line . Create groups , follow or unfollow people , use URL shortener and many more . 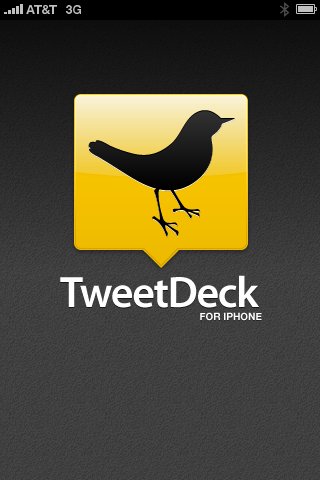 TweetDeck for iPhone is completely free . Download TweetDeck for iPhone . Download new TweetDeck for desktop .